by William J. Banks, Esq. 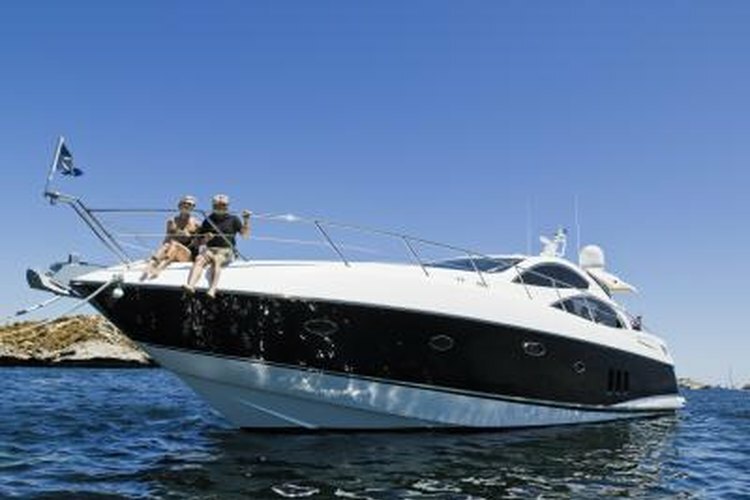 Locating a boat's registration, whether you have lost your registration paperwork, or you have acquired a new boat, is a very easy process. You just need some simple information readily available from your boat. Write down the state registration number, located on the hull. If your boat has been registered in any state in the past, it will have a state-issued registration number on the hull, usually toward the bow. The registration number generally appears as the state initials, followed by four to six numbers and then two more numbers or letters. For example, a boat in Texas might have a registration that reads: TX 1234 AB. These numbers appear on the boat in conspicuous lettering and should contrast with the color of the hull. If this number does not appear anywhere on the hull, either because your boat is new and never registered or it is too large, skip this step and proceed to Step 2. Write down the hull identification number ("HIN"). Every sail and power boat manufacturer is required by law to permanently stamp or affix a hull identification number to its boats. On most boats, this number is etched into the transom (back) of the hull of the boat. On larger yachts, the number may appear near the helm or on a fuse panel. Depending on the manufacturer, the HIN could be as short as six or seven letters or numbers, or as long as 20 or more. A HIN on a boat is very similar to a vehicle identification number found on a car. Gather your title paperwork or loan documents. If you own a boat outright or are financing a boat, gather up all of your ownership documentation to prove you have a right to access your boat's registration or to apply for a new registration. Bring your information to your department of motor vehicles. If you have lost your registration paperwork, present them with any/all of the above information and documentation, along with your photo ID, and they will issue you a new registration. If you are registering the boat for the first time, or are moving the boat into another state, you only need to present the HIN, ownership documentation and your photo ID. When you have a new registration, be sure to keep it in a safe place on your person or on your boat much like you would your car's registration. Failure to carry your boat registration can result in fines if you are ever inspected or "pulled over" by police or Coast Guard units. All boats under power or sail in navigable waters of the U.S. must have a current state registration. State registration requirements differ from state to state; nevertheless, make sure your boat is properly registered before venturing away from the dock. If in doubt about anything, contact your local DMV, police or Coast Guard offices.